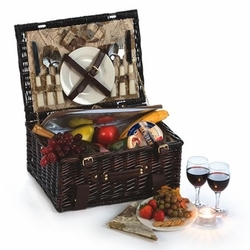 Crafted with sustainability in mind, the Picnic Plus 2 Person Eco Basket is made from all-Natural materials and renewable resources. A beautiful hand-woven Willow basket is lined with Natural dye free cotton and comes fully equipped with amenities for 2 people. 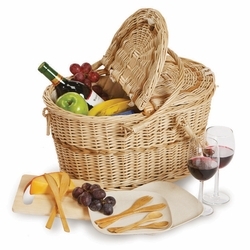 The basket features an eco friendly set of 2 Bamboo fiber plates, Bamboo utensils and a Bamboo cutting board plus 2 wine goblets made from recycled glass. 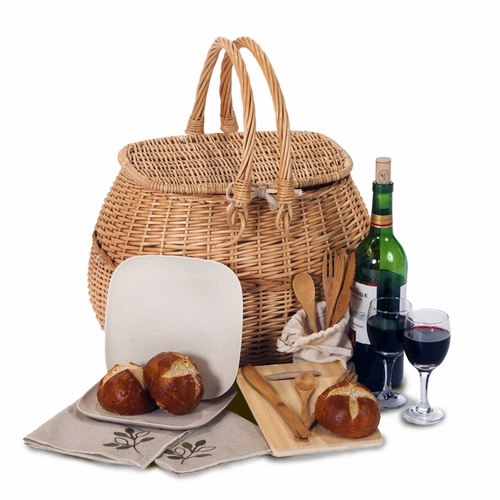 The chemical free cotton lining, 2 napkins and Bamboo accessories compliment the dye and AZO free Willow basket. 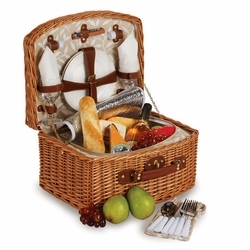 This classic upscale basket was designed to meet the needs of today's eco conscious consumer. Designed in the USA.